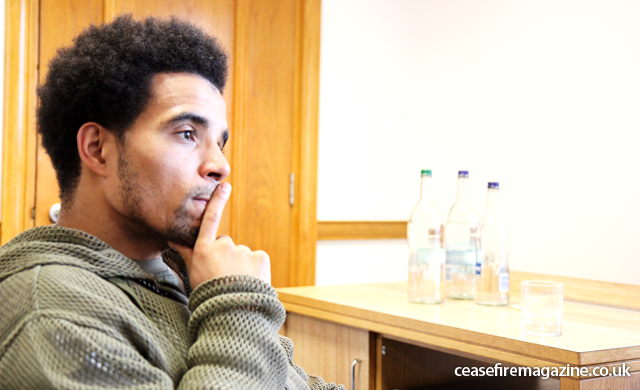 In an exclusive interview, Akala, one of the UK's most respected Hip Hop artists talks to Ceasefire's Adam Elliott-Cooper and Usayd Younis about race, history and philosophy, with exclusive video performances from his latest material. » We have a new interview with Akala! Check it out here. Hip Hop’s Shakespeare, Akala, is often regarded as one of the most lyrically sophisticated, innovative and politically radical Hip Hop artists in the UK. His songs address a range of issues, including racism, imperialism, inequality and the corporatisation of culture, and as a result, rarely receives the airplay on mainstream media outlets that his immense talents deserve. Akala runs the Hip Hop Shakespeare Company, in which he engages young people in appreciating literature. Its aim is to boost their intellectual confidence and understanding. Akala is also a commentator on social issues, and is known for his wide historical erudition and the deeply philosophical vision of his work. Akala is a regular on SBTV in addition to his more well known songs such as Shakespeare and Yours and My Children. We were lucky enough to catch up with Akala at the National Union of Students’ Black Students’ Conference, where we discussed race, history, philosophy, and much more. We also caught exclusive acapella performances of Fire in the Booth Part 1 and 2.